TEHRAN (Tasnim) – Oscar-nominated Iranian filmmaker Majid Majidi said his latest movie on the life of Prophet Muhammad (PBUH) is expected to premiere in the second half of the next Iranian year (September 23, 2014 – March 20, 2015). The renowned Iranian filmmaker said in a note obtained by the Tasnim News Agency that the main motive behind his grand cinematic project was to debunk the extremist moves by those who resort to violence in the name of Islam. He also noted that the movie is now in its post-production phase, adding that the work on the special effects and music composition are also underway with the utmost care, so that it would have the merit of a movie about the great prophet of Islam. 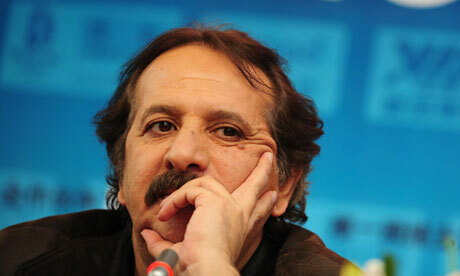 Majidi further added that the cinema fans have high expectation of his new project, saying the Iranian Muslims have asked him to battle against the wave of violence and extremism with this art. Muslims are awaiting the message of love and kindness endowed by Prophet Muhammad (PBUH), Majidi noted, and said his new movie could be a manifestation of opposition to the extremists who spawn violence in Iraq, Syria, Lebanon, Pakistan and etc.